If you’ve ever enjoyed a baked potato or an order of French fries, you have Peru to thank. Of course, we all learned in school that the potato came from Peru and that people there enjoy a gazillion different varieties. Anything more about Peruvian cuisine, though, and most people would draw a blank. EsperanzaSalud located at Mercado La Paloma is an easily accessible health education and information center staffed by experienced Promotores like Rosa Giron and Juana Calel. According to an investigation recently conducted by Esperanza Community Housing Corporation, there are not enough supermarkets in the South Los Angeles sector. Rosa, who was part leading the investigation, explained that in the last five years, the access to healthy food has improved up to 50% in covenience stores, yet the problem is still far from being resolved. Healthy Eating Active Communities (HEAC), the Los Angeles County Department of Health and LAUSD are working in collaboration with different communities and local supermarkets to make sure that fresh food is being offered and display in visible areas. 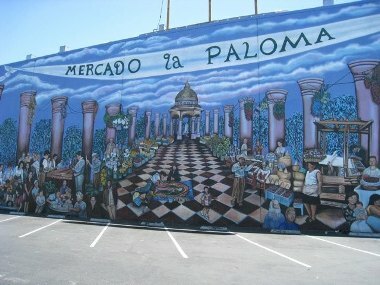 The Mercado La Paloma is a site of transformative change. The space is a former garment sweatshop which Esperanza has transformed into a vibrant marketplace. 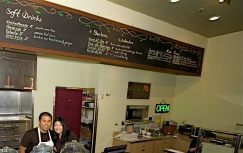 The Mercado Houses 14 small family-owned businesses. All of our Mercado vendors are first time successful business owners, creating job opportunities for our community, serving healthy authentic food, and selling handmade art crafts. Congratulations Mo-Chica! The new Peruvian Restaurant at Mercado La Paloma, which opened in the spring of 2009 has been making headlines for its unique and delicious food. Ricardo Zarate remembers reading a 2004 article in the Economist magazine predicting that Peruvian cuisine was the Next Big Thing. The moment he read the article, he knew it was right: Peruvian was the next big thing, and he wanted, desperately, to cook Peruvian in his own restaurant. The Peruvian community in Los Angeles is large but scattered, and Peruvian restaurants are mostly solitary creatures, with none of the visible concentration of Koreatown or Thai Town – writes the LA Times. 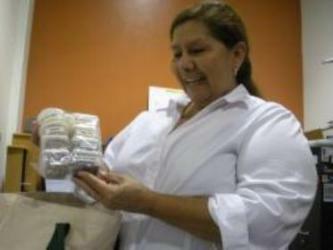 I’ve been in Los Angeles for two years, and I still don’t know where the Peruvian community is,” Zarate says jokingly. Full Story: LA Times: Hidden Peruvian Treasures. Esperanza’s Board Member on Local News! Adam Pash, editor of Lifehacker.com and Board Member of Esperanza Community Housing, appeared on KCAL 9 News speaking about how this website can help consumers save money on everyday expenses. On lifehacker you can find affordable items such as eye-glasses, cheap flight fares to visit friends who are registered on facebook and even coupons for pizza! Funded by the economic stimulus package, through HUD, the Healthy Homes Team has been awarded an $875,000 Healthy Homes grant over three years. With the federal assistance, Consuelo Pernia, asthma coordinator will be able to assist families with asthmatic children Like Rosa, and be able to referred them to St. John’s Well Child and Family Centers. The Healthy Homes Team working towards a Healthier Community. 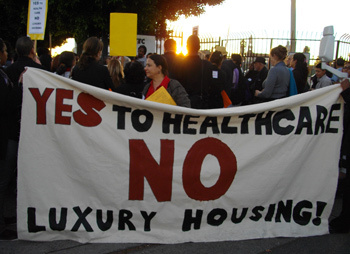 The American Recovery and Reinvestment Act of 2009 (ARRA), commonly known as the economic stimulus package, included a provision for $875,000 over three years to fund the Healthy Homes Demonstration Project of Esperanza Community Housing Corporation. The Healthy Homes Team is a cadre of 12 Community Health Promoters who have been working in our neighborhood for over 10 years to improve the environmental health of the community and keeping families and children safe from dangers of lead poisoning, vermin infestation, mold, and other home-based health hazards. Approximately 85% of the housing in our neighborhood was built before 1978, most containing lead-based paint, which is a toxin that severly affects the development of children under the age of five. The Healthy Homes Team works in conjuction with St. John’s Well Child and Family Center Clinics by receiving referrals of children who have elevated lead blood levels. The Healthy Homes Team visits the child’s home, tests for lead, and educates the family on how to protect their children. In addition, the Healthy Homes Team partners with tenant organizers of SAJE, a partner of Esperanza, who work with local families to protect them from displacement and the ravages of slum housing conditions. Families learn how to improve the habitability of their environment, and protect their children from constant illness. Over the past 10 years, the Healthy Homes Team have reached thousands of people in their homes and improved the quality of their health and their housing conditions. 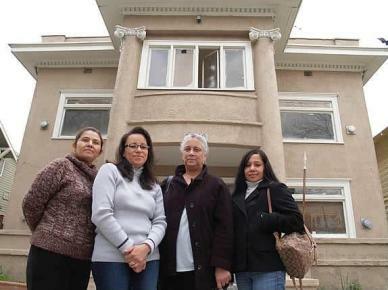 In 2008, Esperanza applied to HUD for a grant to fund a Healthy Homes Demonstration Project. While our proposal scored extremely well and was deemed fundable by a wide margin, it was not funded due to severe budget cuts. The services that the Healthy Homes Team provides are essential for our community, but the fiscal realities would not allow us to support their work indefinitely without a funding stream. Layoffs are imminent, foreclosure and housing prices continue to rise in our neighborhood, more and more people are crowding into smaller units in undesirable conditions, putting their health at risk. The community needs the Healthy Homes Team, but without the funding from HUD, this highly skilled group of colleagues would have had to disband after 10 years of working together to improve the health of our community. 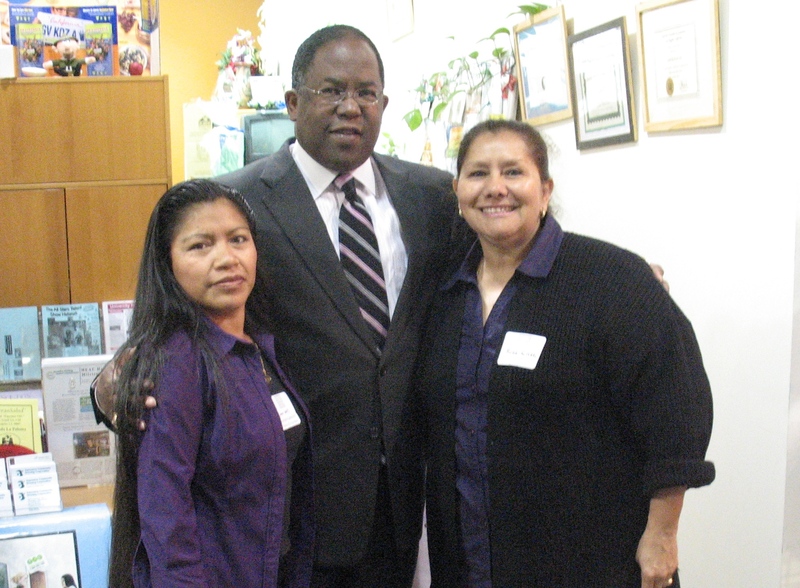 With the stimulus bill, The American Recovery and Reinvestment Act of 2009, qualifying applications to HUD’s Lead Outreach and Healthy Homes Programs from 2008 were funded, including Esperanza Community Housing Corporation’s Healthy Homes grant. Seven people from low-income backgrounds who are experts in their field will be employed over three years, working to improve the environmental health of their neighborhood and the families who live there. Our program creates jobs, healthier families, and stronger communities. Esperanza thanks everyone who played a role in making sure that our essential work continues.